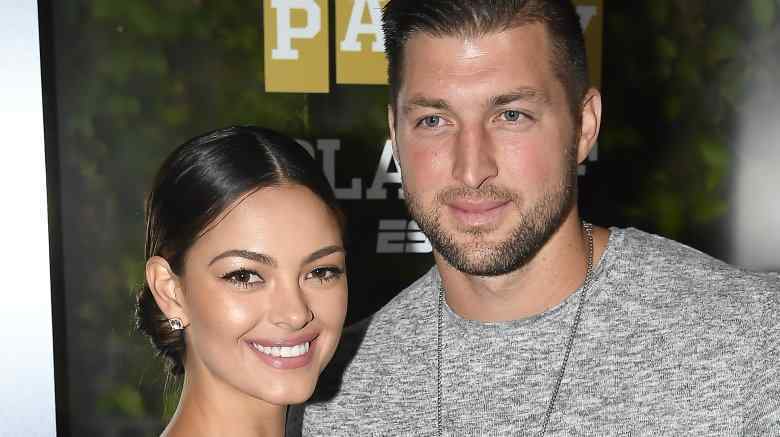 The previous quarterback Tim Tebow may before long be a hitched man, as he as of late proposed to Demi-Leigh Nel-Peters, who caught the title of Miss Universe in 2017. Tebow popped the central issue at dusk on Wednesday, Jan. 9, 2019, while at his family's homestead in Jacksonville, Fla., People reports. As indicated by the magazine, the previous Denver Broncos player strolled with Nel-Peters on the property, halting almost a lake and a seat that he'd had engraved with the date of when they initially met. How sentimental! In the wake of discussing their future, Tebow, 31, got down on one knee and asked Nel-Peters, 23, to wed him. Once Nel-Peters said honestly, she included a pristine bit of adornments to her closet: a "7.25-carat solitaire ring." Tebow apparently advised her, "This ring is inside perfect. … Just like you." Furthermore, as though all that wasn't sufficient, vocalist Matthew Mole at that point ventured out of holing up behind a roughage parcel and sang the couple's main tune, "The Wedding Song." Nel-Peters wouldn't need to hang tight to disclose to her family the energizing news, as Tebow, who was "energized" to propose, had flown them to his family's property and they'd been viewing the proposition from a separation. To People, Nel-Peters shared, "I'm so energized for the wedding, and I can hardly wait to go through perpetually with Tim." According to the magazine, Tebow and Nel-Peters first beginning dating once again the mid-year of 2018. Tebow, who'd recently dated 2012's Miss Universe Olivia Culpo, later took to Instagram to share a couple of minutes from the proposition. In the subtitle, he expressed, "Thank you for saying YES and making me the most joyful man on the planet. You're the affection for my life, and I can hardly wait to spend whatever remains of my existence with you." Nel-Peters posted the equivalent pictures on her Instagram page, including, "Any fantasies I've at any point had, you've surpassed them all! I adore you, and I can hardly wait to go through always with you!" Congrats to Tebow and Nel-Peters!